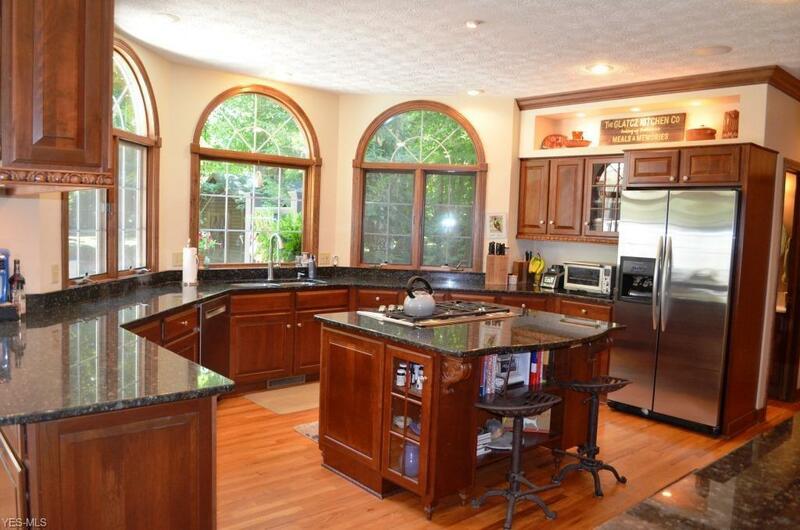 Fabulous, stately colonial nestled on 3+ wooded scenic acres in Sharon Township. 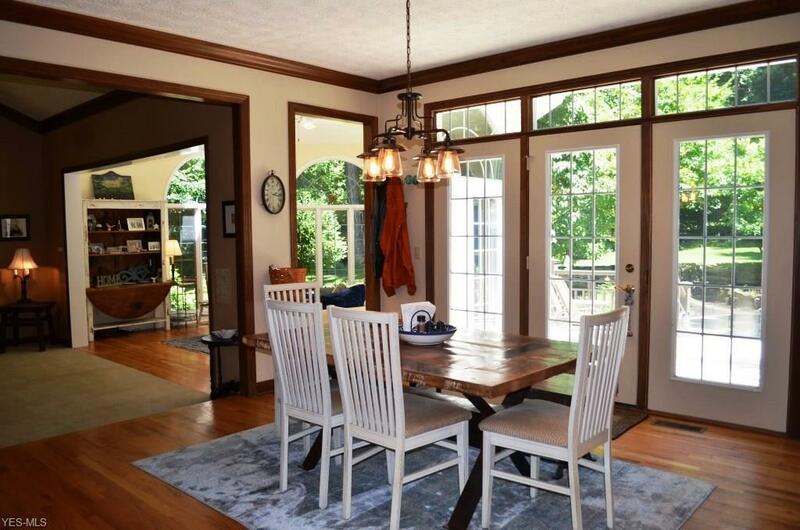 Gracious 2 story foyer w/hdwd floors leads to FF library w/glass French doors, fireplace, and wall of custom built-ins. Spacious formal dining room. Gourmet kitchen offers granite counters, SS appliances including double ovens, center island/breakfast bar, and pantry. Engaging, vaulted great room features floor to ceiling brick gas fireplace and new carpet (Oct. '18). Inviting sunroom boasts skylights, panoramic views of tranquil backyard, and outdoor access. First floor laundry and guest bath conveniently located. Luxurious master suite presents new vinyl floors (wood look), WIC, and updated glamour bath w/soaking tub, and walk-in steam shower. Three additional generous sized bedrooms, one en-suite, and main full bath complete the second floor. Full basement ready for your finishing touches. 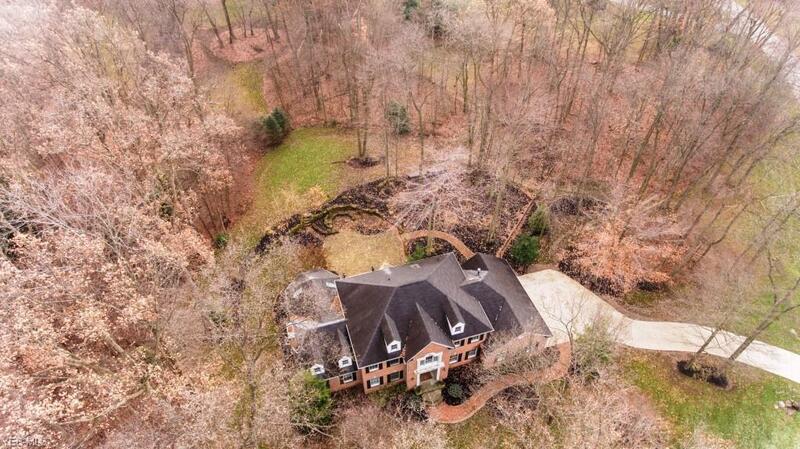 Outdoor entertaining area boasts large deck, patio w/stone walls & seating, waterfall, and fire pit. 2 sheds. Tranquil and private setting. Quick Possession!